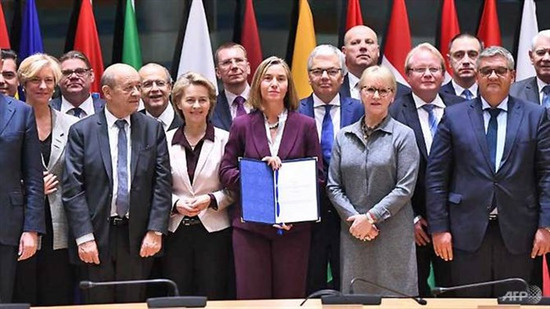 After numerous delays, on November 13th 2017, the Permanent Structured Cooperation (PESCO) was signed by the European Union (EU) member states. This is a historic event in the process of cooperation and development of the “Old Continent” considerably impacting on the region’s security. The EU is one of the world’s largest regional organizations with a population of more than 500 million people, consisting of 28 member states, accounting for 22% of global GDP. Concerning defence and security, the EU relies on the North Atlantic Treaty Organization (NATO) which is indeed covered by American “nuclear umbrella”. That dependence is the reason why this Union is seen as an “economic and political giant” but a “defence and security dwarf”. Therefore, EU always desires self-reliance and unity in defence and security across the continent. According to experts, since the 1990s, EU has referred to the building of common defence. However, it has always been rejected by United Kingdom, a key member of the EU, as London does not want EU to own an army. However, that barrier was partly lifted by the Brexit in 2016 which both posed challenges to the EU’s process of integration and created favourable condition for EU to realize the idea of building the Bloc’s common defence. Besides, since taking the office, with the “America First” policy, the US President Donald Trump has made adjustments in diplomatic ties with the EU. He even denounced NATO as “parasites” and asked this Bloc to pay their share; otherwise, the U.S. would not be responsible for their security. That was described as “the last straw that broke the camel’s back” and made the “same bed, different dreams” relationship between the EU and the U.S. more and more complicated. EU leaders believe that it is time the EU is no longer protected by the U.S. “nuclear umbrella”. Thus, the construction of EU independent, self-reliant common defence structure becomes a demand of urgency for the Bloc. Moreover, to deal with the current increasing non-traditional security threats, particularly waves of illegal immigration, separatism and terrorism amidst the eroding role of the NATO, each EU member, in addition to their military and security build-up, should pay due regard to fostering cooperation in this field within the Bloc. To meet the above-mentioned demands, PESCO sets the goal of boosting the Bloc’s defence and security cooperation and building its own modern defence and military forces. In this regard, EU will enhance the evaluation of each member’s defence capability as the basis for developing its strategies and plans/projects on defence and security. PESCO gives priority to assisting member states with less modern defence industry in overcoming difficulties to gradually narrow the gap of defence capability between the Bloc’s member states. Signatories of the PESCO must pledge to regularly increase their defence budget of which 20% is spent for modern equipment acquisition and 2% for technological research and development, while being responsible for practically supporting the Bloc’s military missions. To ensure defence and military operations of the Bloc, member states will contribute 5.8 billion USD to the Bloc’s defence budget while the Bloc will deduct about 5 billion Euros per year from its budget for defence budget. In response to the requirements set by the military technology revolution, EU will focus its investment and research on the key defence and security fields which are to enhance the manoeuvrability and operational capability of the armed forces; to develop cutting-edge technologies for ensuring internal, border, aviation, maritime and cyber space security; to manage and handle every civilian crisis. Moreover, due regard has been paid to developing hi-tech weapons and equipment, particularly tanks, UAVs, tactical missiles of all types for the air forces, navy and ground forces. At the same time, PESCO has proposed the establishment of front headquarters and logistics-technical bases in member states' territory to best satisfy defence missions and military operations of the Bloc when crises break out. It has also suggested building joint training centres intended for the training officers and joint exercises to effectively handle defence situations (counter-terrorism, search and rescue, etc.) and civilian and military crises. Military experts of the EU believe that PESCO will enable defence forces of the member states to be better synchronized and to more closely combine between economy, defence, security and diplomacy, thereby facilitating support, enhancing defensive capability and effectively dealing with security threats. EU leaders also express their hope that in the future this Bloc will become one of the world’s top defence industry markets. However, according to many experts, PESCO still exposes weaknesses that couldn’t be solved “overnight”. First, 5 countries have yet to sign PESCO (23 ones have done already). It proves that the Bloc hasn’t reached a necessary consensus within it, which would be a barrier to defence and security cooperation. Even France and Germany, the two key member states, are arguing with each other over the defence goal of the Bloc. While Paris wishes to establish a military alliance with the participation of strong members capable enough to conduct military operations outside member states, Berlin advocates a master plan for defending the whole Bloc. It is noticeable that PESCO’s goal of integrating the EU’s Army does not totally match what NATO is striving for. That will lead to an awkward situation for those who are members of both NATO and EU as defence and military goals of the two organizations are different. There is a warning that if the disagreement between goal and action, which is seen as the Bloc’s serious disease, its defence and security forces are “numerous” only. According to statistics, the total of defence budgets of EU member states ranks the second in the world. The Bloc’s PESCO advocates “regularly increasing defence budget” in a bid to build a powerful, modern defence and security force (which is estimated to be costly). Experts believe that direction will be a “new agent” making the arms race at regional and global levels more intense. Besides, the increase in the Bloc’s defence budget meets objections from the people of member states. Recent polls in France, Germany, Italia and Spain have revealed that under 35% of the respondents agree to increase defence budget while more than 60% disagree or demand to keep current defence budget. Officials from EU member states are concerned that when the economy is suffering many hardships, the Bloc’s decision to force its member states to increase defence budget will only destabilize the Euro zone. Meanwhile, the international military circle is very interested in the role of the EU’s defence and military forces and NATO - the world’s largest military alliance - towards the region’s security issues. After the Cold War, NATO has adjusted its military strategy which is from “collective defence” to “active engagement in flash points” worldwide. Up to now, NATO has made military interventions in tens of “flash points” in continents, particularly “disreputable” attacks on Yugoslavia (1999), Afghanistan (2001), Iraq (2003) and Libya (2011). 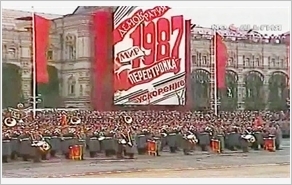 Consequently, NATO got bogged down in Iraq, Afghanistan and many other areas in the world while its military operations were condemned as “inhumanity”, which are the very reasons for instability across the Europe, such as immigration crisis and barbaric terrorist attacks on the Bloc’s member states. Many experts are concerned that if EU advocates the use of its defence and military forces in NATO’s military operations outside the Europe, it could “make a rod for its own back” and further destabilize the region. One thorny issue is that the U.S. still considers the control of EU as its pivotal interests in its global strategy. Therefore, like the way it has done to NATO, the U.S will force the EU to follow its “swagger stick” even in the fields of defence and security. Recently, the Guardian, a British daily newspaper, has ironically said that the United States would support the EU’s establishment of its own army only when it weakens EU “quickly and stably”. The Guardian has also warned that the Bloc’s strategy to build an own defence force is a dangerous step which could trigger off a new “Cold War” between the two sides of the Atlantic Ocean. It is thought that when the world is confronted with numerous challenges and complex, unpredictable threats, countries’ investment in enhancing national defence capability and broadening cooperation at regional and global levels to deal with security threats is a necessity. However, countries should not take advantage of complicated situation to form alliance for military operations against the others regardless of international law and national independence, sovereignty and territorial integrity. Only by doing so, could human kind reduce threat and build a world of peace, stability and development.